He’s the black guy in a cat suit, right? Isn’t he from Wakdanda, which is like the gentrified suburbs of Zamunda? I heard about him; Umar Johnson got bit by a radioactive panther and now he fights crime? By the way, 100 percent of those people are going to see the movie and dropped cash into a GoFundMe, too. Fortunately, there’s a great way to up your Panther game over the next month courtesy of someone from our very own Gizmodo family. 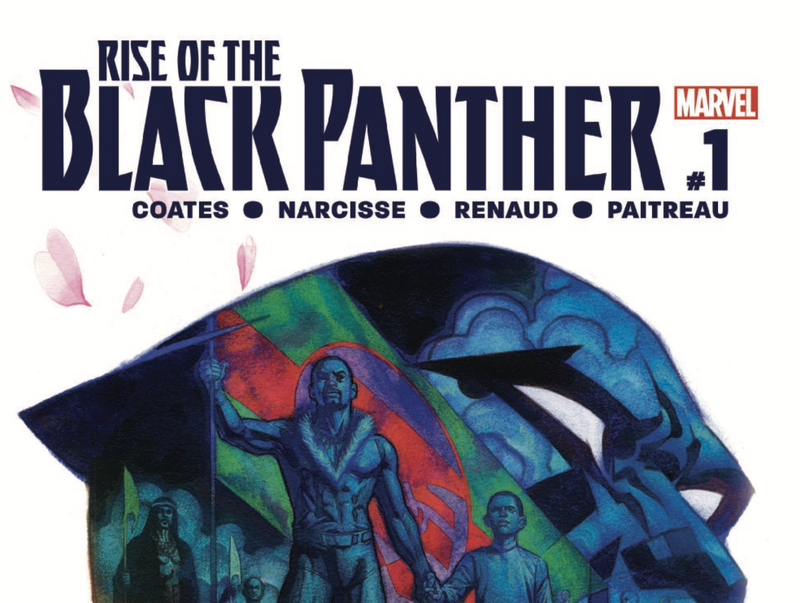 Writing genius Evan Narcisse, who writes about comics and comic reviews at io9, is now writing the Rise of Black Panther limited series for Marvel comics. The comic covers the early years of T’Challa as Black Panther, as well as his family history and nation. Consider it like a Fodor’s for Wakanda. The book is exciting, well-written and a great jumping-on point for anybody of any age who wants to know more about the character. The Root talked to Narcisse about what it was like to write the most popular black hero ever, and whether superhero-ing really comes from your mama. The Root: So how did this whole Black Panther thing get started? You’ve been writing about comics at io9 for years, but how did you go from doing interviews with Ta-Nehisi Coates about Black Panther to writing an origin book for his main title? Over the years of writing about comics, people have asked me that, but I had a sense about how people got paid, and I just never wanted to take that chance. Coates had sort of suggested that as well: You should do comics. Then, basically a year-and-a-half ago, I get this text from Coates—and he’s like, “It’s not even coming from me, it’s from Will [ Moss] my editor.” And that’s how it started. Narcisse pitched the idea of a “Black Panther: Year One” story, to learn about what makes T’Challa a man, a king and an African superhero in a world filled with blond-haired superpatriots and golden-locked gods. But Narcisse didn’t just want to do a straight adventure story. T’Challa has a lineage, his mother dies, his father is killed, he’s raised by a single mom; Narcisse wanted all of that in the story. EN: It always bothered me that we never knew anything about N’Yami [T’Challa’s mother]. There’s a trope in comic books and pop culture—the ghost wife or the ghost mom—because parental death is a real plot point that happens over and over again, and I wanted to make her a real person. I thought about my own daughter, who is an avid reader. She gets those genes from me. And I thought about this child [T’Challa] who’s a scientist and you never see that in his father, so I think maybe he got that from his mother; maybe she helped usher in the golden age of technological development for Wakanda. In the first issue alone, Narcisse lays out how it was T’Challa’s mother, N’Yami, and her brilliance that helped keep Wakanda strong and safe from outside imperialist forces. You can totally understand how a nation’s fiercest warriors are women when you see the power that N’yami wields in the comic. The intimate relationship she has with T’Chaka, the previous Black Panther and T’Challa’s father, is beautifully tragic as well. The best part of Narcisse’s Rise of Black Panther is you get to see the early stages of the hero’s career. If you read Coates’ monthly Black Panther comic, you see a guy in full control of his nation and powers. In the Black Panther movie by Marvel next month, you’ll see a fully formed hero who’s just stepping into his power as king. Rise of the Black Panther gives you a young man still exploring the world. His birth mother is dead, his father has been killed by an outsider, he’s a prince who’s been locked away in an isolated xenophobic nation where everyone caters to his needs, and now he wants to see what’s out there. Imagine Jaden Smith going off to college but with superpowers. I asked Narcisse how those dynamics play out in the first issue of the comic. EN: T’Challa is a man who has multiple vectors of desire pulling at him. He wants to explore the unknown. And innovate and create. He’s also a son who will never stop mourning his father. He was raised by a single mother. But he’s also somebody that looks at the outsider world as something to unlock. Some of it is to Wakanda’s advantage. I see T’Challa as someone with a massive amount of innate curiosity. He’s asking himself, “I wonder what sauerkraut tastes like? I wonder how other people raise their families and their relationships?” There’s a Wakanda way of doing things and everyone else. If you’re looking for something to satisfy your Black Panther thirst between now and February, you can’t do better than to pick up the first issue of Rise of Black Panther, which you can grab at your local comic shop or buy digitally online. It’s a fun read and gives you a great story and some background you won’t get anywhere else. Also, you don’t want to be in line for the movie on Feb. 16 thinking that Black Panther is the Falcon’s twin brother.